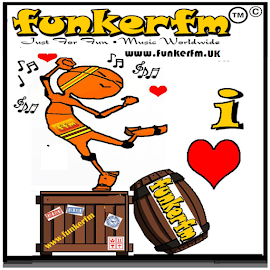 FUNKER FM – Word of ‘FUN’ means Joy. Well, in Malaysia with multi-cultures which are a habit for certain Malaysian used to mix up between English and Malay 'Manglish' such as ‘Ker’, ‘Lah’ 'Der'. 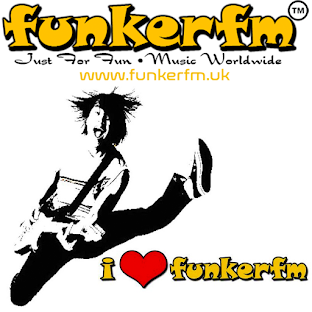 Therefore, the name "Funker" is meant to a question such as ‘fun ker?’ In English, it would be noted as ‘Is it Fun?’. i. We are 100% Web Radio / Online Radio / Internet Radio. ii. The Founder is DRAD@Awie and The Co-Founders are Zazs Walid, Affa, Rentung and Jelly Arin In The Year 2007.
iii. Officially Registered, Trademark™, Licensed in The Year 2009 and Established in The Year 2010, Full operational and Officially Launched on 14th. June 2010.
iv. Our Formerly Partnership and Associate was Dato' Amir CEO of Ads4Bucks Sdn Bhd. v. Our Streaming is sponsored by DJ Tom CEO of CME Solution. vi. HQ Located in Kuala Lumpur, Malaysia, Branch Located in London, UK and Server Located in Texas, USA. We love music!! We support New Music!! Entertainment to Worldwide listeners with Our Slogan: 'Just For Fun' 'Music Worldwide'. A platform to promote the new songs. Live 24/7 real time Broadcast through Web Radio, Websites, Facebook, Twitter associates with Bloggers, Media Networks etc. Mix and match from Alternative Rock, R&B, Hip-Hop, Rap, Indie, Rock, Metal, Grunge, Alternative, Remix, Discoduts, Club, Dance and etc. In addition to the above, we have also involved in Information Technology including programming, servers, web development, applications, etc. For research, experiment and implementation related to Online Marketing, Advertising, Social Media, Event Management, Shopping Online and Online Networking etc. High appreciation and Thank you to our Sponsors, Listeners, Followers, Supporters, Associates, Friends, Artists, Composers, Producers, Songwriters, Record Companies, Recording Studios, Medias, Bloggers, Social Media Networks etc. from whole over the world for being supporting us, promoting, sharing globally continuously. The power of Social Media Networks with No Boundaries. We're hoping to develop Larger and Faster on New Composed Music all over the world via Media Broadcast Networks. Your efforts are so much appreciated.